I’ve been getting excited about our first harvest of tomatoes, and we easily had 20 plus tomatoes on each plant… At least we did until troublemaker Logan got to them. 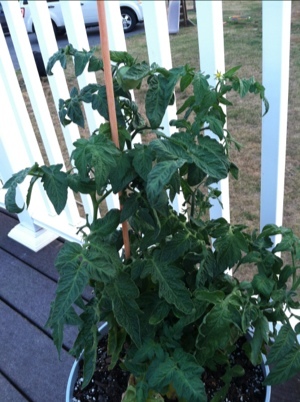 He picked almost an entire plant clean of tomatoes, leaving us one lowly tomato and a pile of small unripe tomatoes. 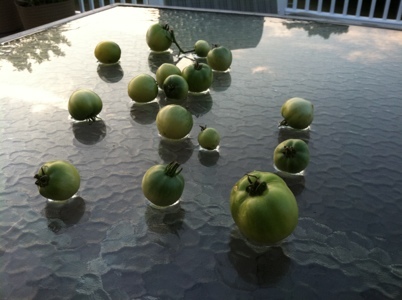 Who wants fried green tomatoes?